Adam graduated from Macquarie University in 2007 with a bachelor degree and masters in Chiropractic. 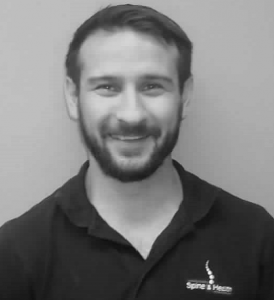 Adam found his passion for improving posture and spines in Scotland, where he spent 2 years training and practising postural therapy. Since then Adam has been improving posture and spines in North Sydney for a further 8 years. Born and raised in the Northern Beaches of Sydney, Adam grew up playing Rugby and Cricket whilst maintaining an active surfing lifestyle. Whilst enjoying activities involving sunshine, he is never one to pass up trips to the snowfields in Australia or any other country. Adam is also a dedicated musician playing piano from a young age and further picking up the bass guitar in his later years at school. Adam enjoys meeting new people and is passionate about posture correction, he looks forward to seeing you in the North Sydney clinic. Nicholas graduated from Macquarie University in 2002 with an undergraduate degree and masters in Chiropractic. He spent twelve years working in Sydney’s inner west running his family based chiropractic centre. For the past 5 years Nicholas has been improving health and posture on the lower North Shore. Born and raised on the North Shore of Sydney, Nicholas grew up playing rugby and tennis whilst maintaining a keen interest in snow sports. He has spent numerous winters in North America snowboarding. Nicholas is also a dedicated musician playing horn and guitar from a young age and further picking up the drums in recent years. Being a proud father of two girls he enjoys the rewards of parenthood and family life. 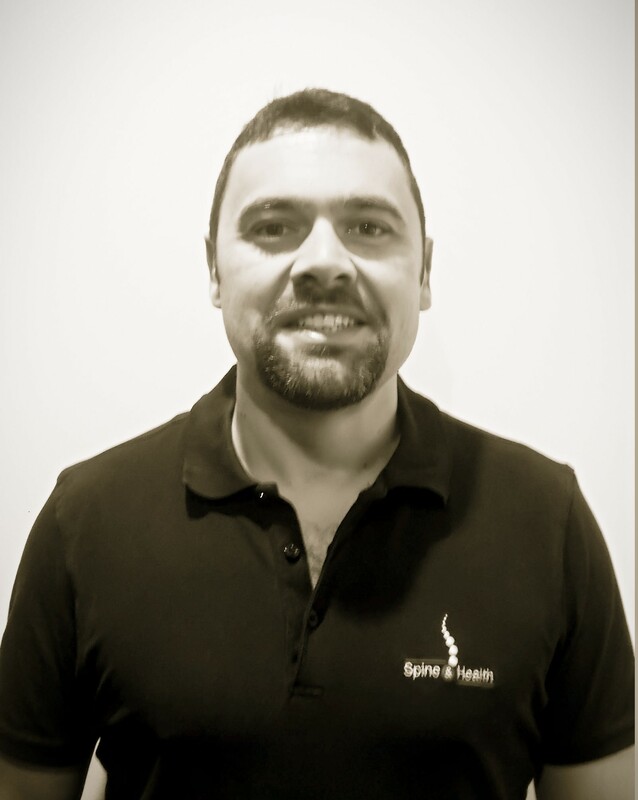 Nicholas is passionate about improving the health of his community through chiropractic and posture correction, he looks forward to seeing you in the North Sydney clinic. Rhea graduated from Macquarie University with a Bachelor of Chiropractic Science and Masters of Chiropractic. She has been part of the amazing Spine and Health team for 6 years. Rhea has a passion for helping people of all ages to be pain free, healthy and happy and believes postural therapy plays a crucial role in achieving this. Rhea’s focus is improving how office workers look and feel by achieving great posture for life. Rhea enjoys speaking at our corporate posture events to help people understand the effects of sitting and the importance of great posture. Growing up in Eastwood, Rhea enjoyed playing team sports such as netball and baseball, which she travelled overseas to compete in. She was also a dancer for 15 years and enjoys playing touch football, snow skiing and water skiing. Rhea loves spending weekends away on the Central Coast and at Port Stephen’s spending time in the sun, swimming, boating and walking her dog. Kylie completed an Advance Diploma in Tourism and Hospitality in 2003. Born and raised in the Northern Suburbs of Sydney, Kylie has grown up enjoying swimming and netball. One of her biggest achievements other than working for Spine and Health was the opportunity to work and travel around the world for 6 years. Kylie joined the Spine and Health Clinic as a Senior Receptionist in the beginning of 2013. 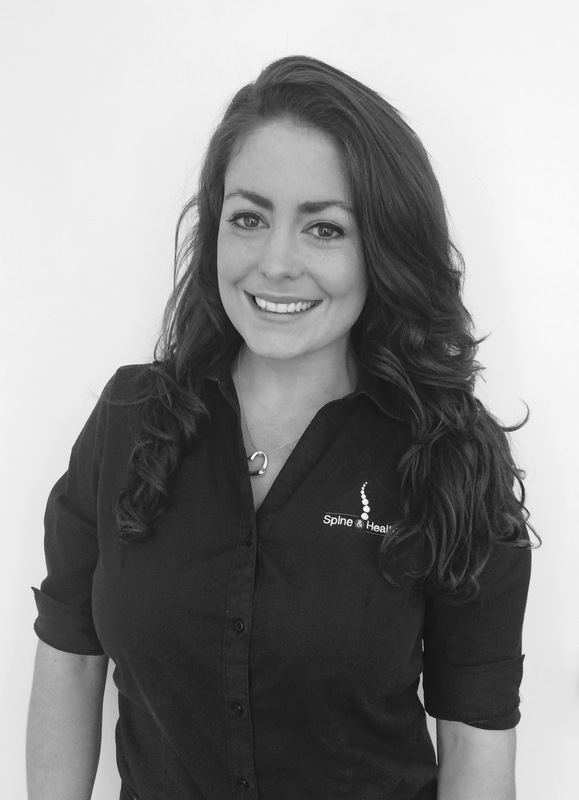 She enjoys interacting with clients and colleagues and has been able to see and enjoy the benefits of Advance Biostructure Correction (ABC). 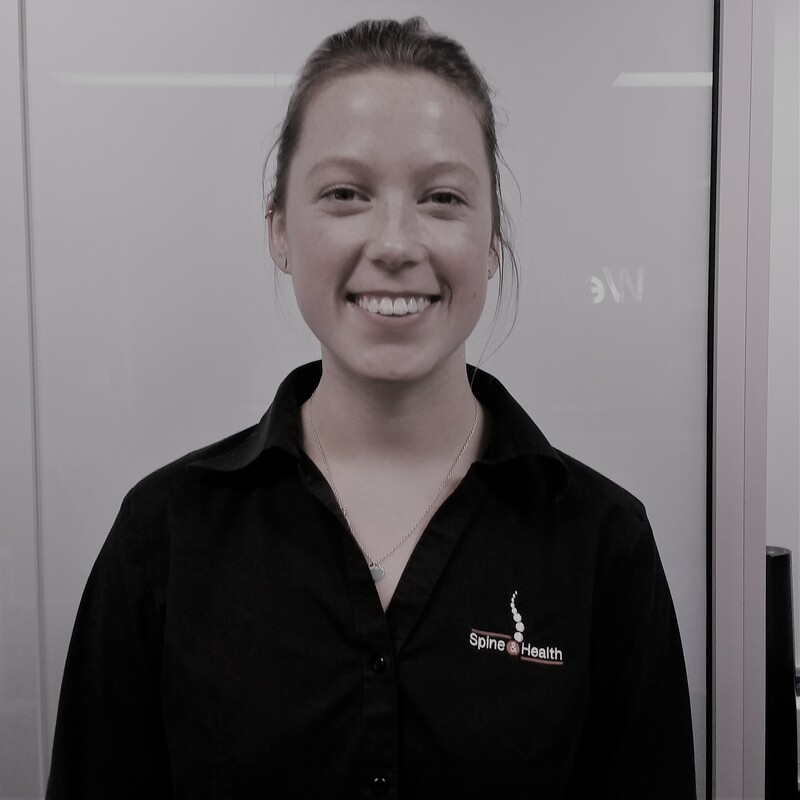 Michaella was born and bred in Sydney’s northern suburbs and has always had a passion for science and health. She has graduated from The University of Sydney with a Bachelor of Science (genetics/ biochemistry major) and that wasn’t enough for her so she is currently studying masters of Health Communications. She enjoys playing sport and being active, grew up playing soccer, cricket and netball – she loves netball as she has played for 16 years and will continue to play! She is also a keen snowboarder having spent 6 months working on the slopes in Canada – aaye! Michaella is loving the ABC ™treatment she gets from our chiropractors as she has found her breathing has improved and therefore her performance. 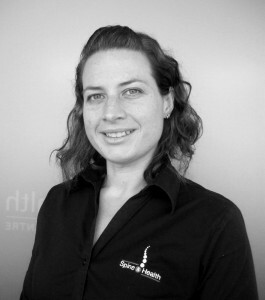 She enjoys working at Spine and Health with the team and engaging with our awesome clients. 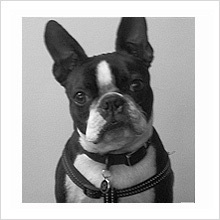 Bailey the Boston Terrier applied for the position of Spine and Health Mascot in 2011. There was stiff competition from other entrants including the local cat, a goldfish and a multitude of small fluffy white dogs. Baileys love of patients, his PhD ( Puppy Has Dopey eyes ) from the university of Boston, and unusually good bladder control meant Bailey was a shoe in! Bailey would love to go sky diving, water skiing and kite surfing when he is big enough. At the moment he is training for his adrenaline lifestyle by playing catch in the park (turbo style), tackling large dogs, and stealing food from picnic hampers! Next time you see him at Spine & Health be sure to say hi and give him a pat!